As soon as the warmer weather settles in and summer makes it's presence known, our side deck and fire pit become the go-to spot for planned and impromptu summer get-togethers with family and friends on the weekends. Those fun summer evenings usually begin with a little barbecuing and multiple games of corn hole, and they almost always end with all of us gathered around the fire pit roasting marshmallows and making s'mores. 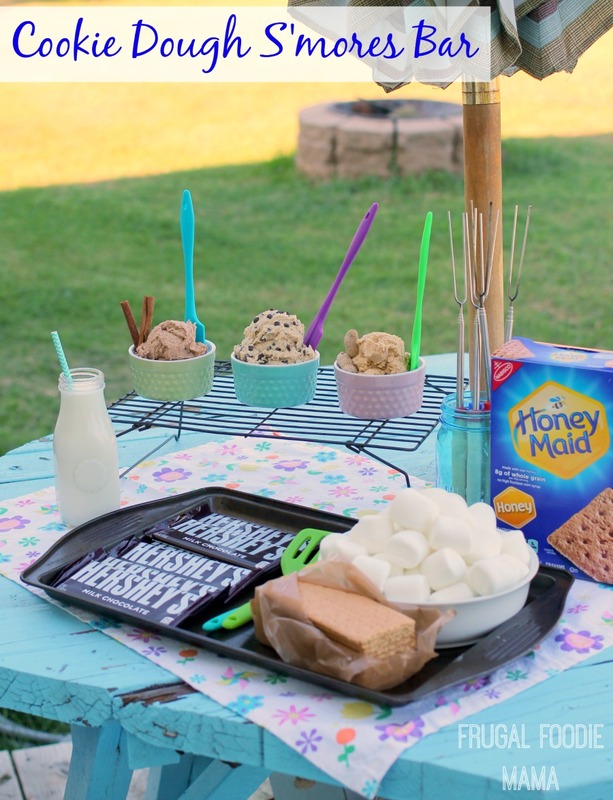 :) While we are all happy with some good ole fashioned s'mores, every once in a while I like to change things up and fancy up our s'mores parties a little bit. 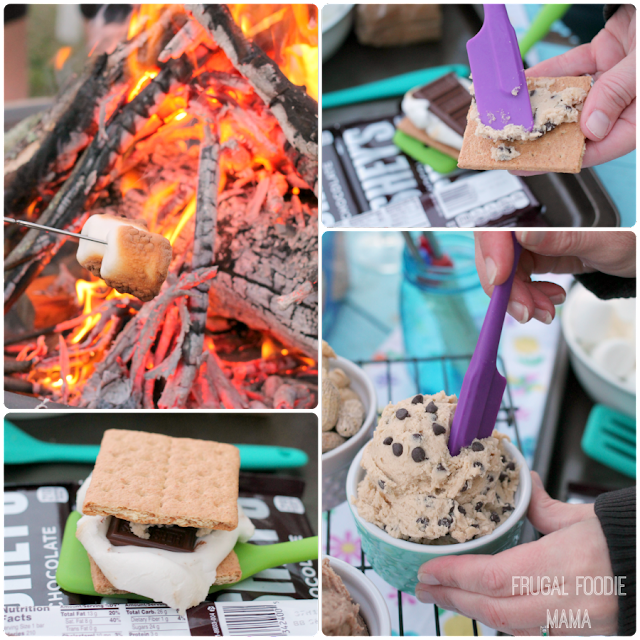 For our most recent weekend get-together, I had an idea for a cookie dough s'mores bar that I had just had to put into action. 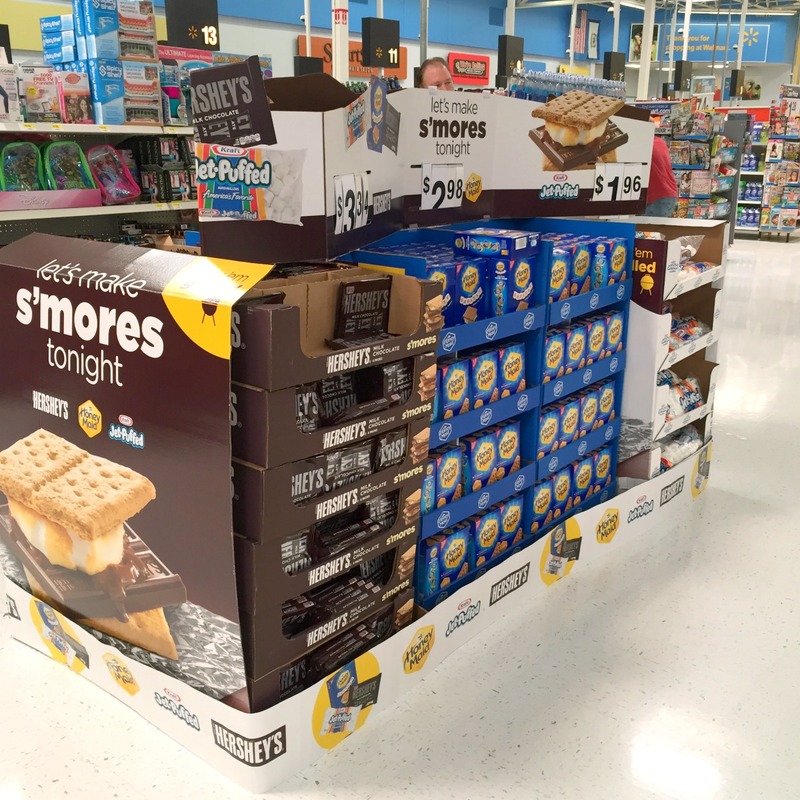 And Walmart made easy work of this for me since I found everything that I needed right in the front of the store in the nifty Let's Make S'mores Tonight display. 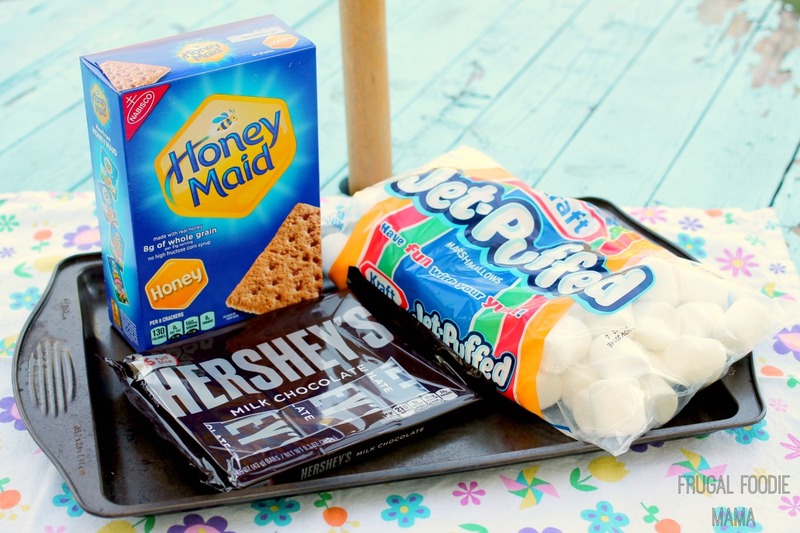 I stocked up on Hershey's Milk Chocolate bars, Honey Maid Graham Cracker Squares, and Kraft's Jet Puffed Marshmallows. 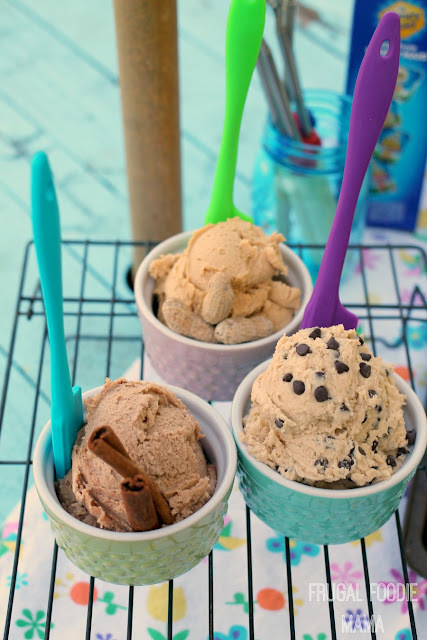 Then I picked up everything that I would need to make some fun and easy cookie dough spreads. In a large mixing bowl, cream together the butter and sugar until light in color and creamy with an electric mixer. Add in the vanilla and salt and mix in well. Add in the flour and mix again. The mixture will be a little crumbly. Add in the milk 1 tbsp at a time until you reach a cookie dough consistency. 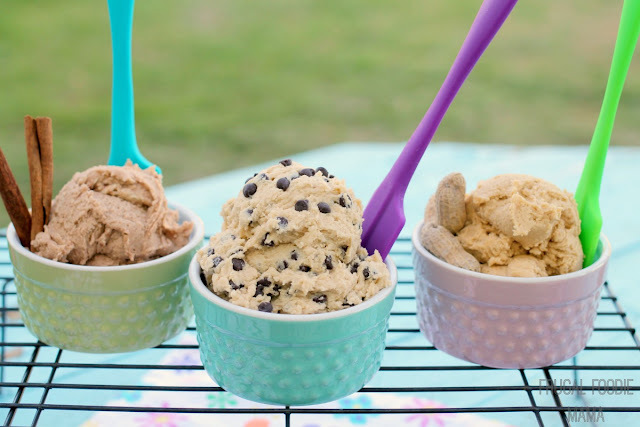 Divide this basic cookie dough into 3 separate smaller mixing bowls. Fold in the 1/2 cup of mini chocolate chips into one of the thirds of cookie dough. Using another third of the cookie dough, mix in the peanut butter well, and then mix in the 2 tbsp of flour until well blended. Mix the 1/2 tsp of cinnamon into the last third of cookie dough until well blended. 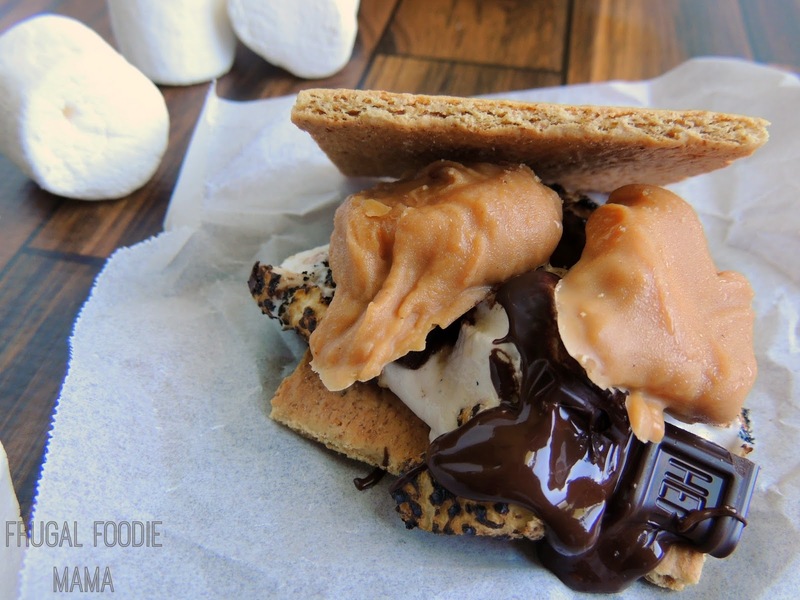 For a Cookie Dough S'mores Bar- Serve each cookie dough spread in a large ramekin with a small spatula. Add Hershey's Milk Chocolate bars, Honey Maid Graham Cracker Squares, & Kraft's Jet Puffed Marshmallows, & you are ready for a s'mores party! Cover & refrigerate any leftovers. Though I would suggest tossing out any leftover cookie dough spread if it has been outside longer than an hour or two. Adapted from this recipe for Edible Egg-less Chocolate Chip Cookie Dough from Center Cut Cook. 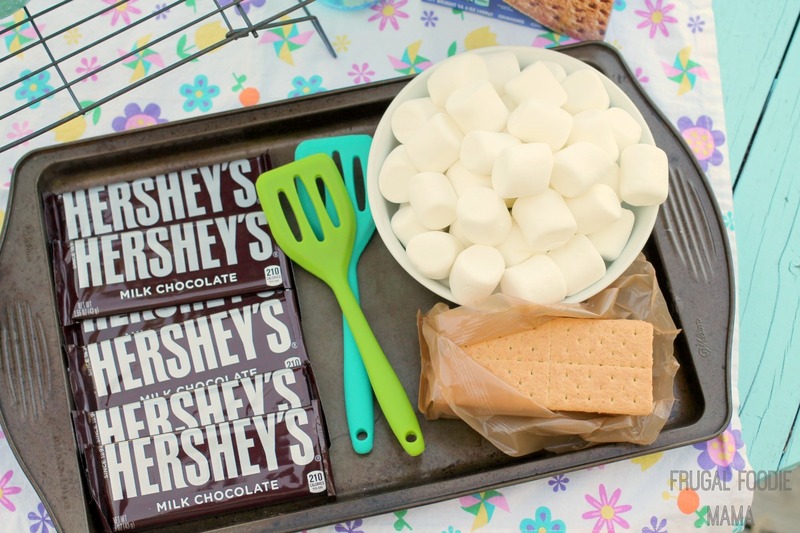 This Cookie Dough S'mores Bar was a huge hit with the entire family! And no worries because the cookie dough spreads are edible and egg-free. 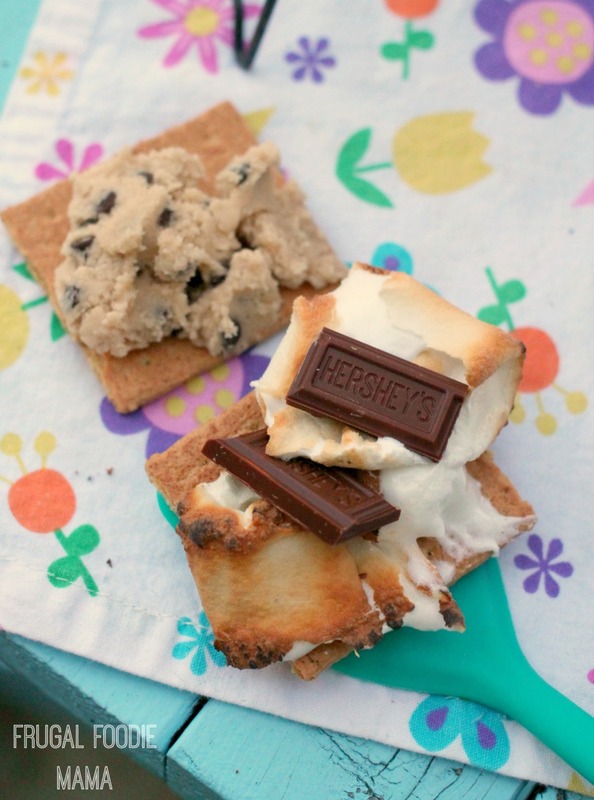 Do you have a fun, out of the ordinary way to enjoy s'mores? 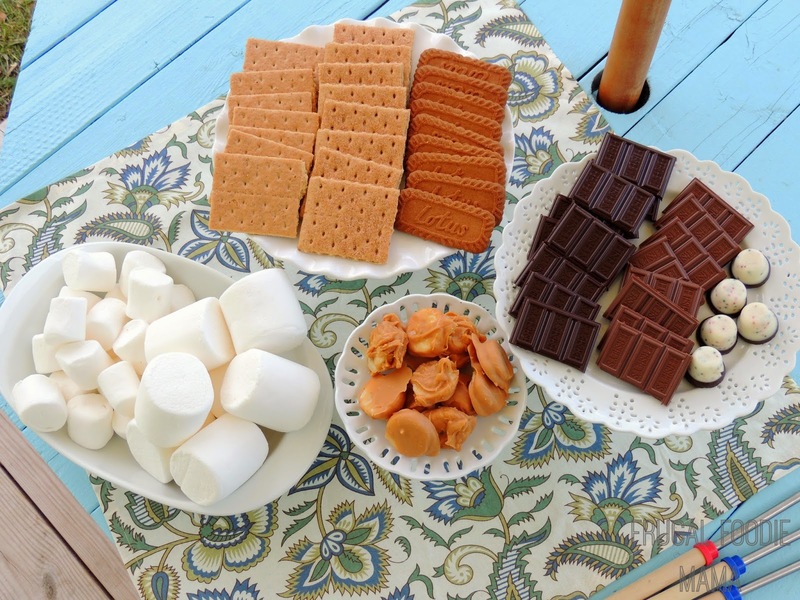 How would you fancy up the typical s'mores party?